So I just finished the last Harry Potter book. I'm glad to say that I didn't whistle through it like some breathless teenager on the day it came out. I was much more restrained. It was quite enjoyable as well. 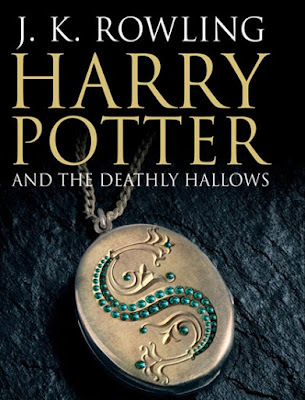 The second half of the book almost reaching some of the gripping excitement that the earlier installments reached before J.K. Rowling's editor seemingly lost the ability to restrain her occasional aimless meanderings. I know that many folks will look down their nose at someone nearly 40 reading a series of children's books, but they are clearly a social phenomenon and if you want to get shirty I only just read The Gruffalo last year. To the other folk that point to The Dark is Rising, His Dark Materials, The Hobbit and other superior children's fantasy series and say kids would be better off reading them, perhaps by getting involved in reading fiction through Potter they will leave their PlayStation's and Nintendo alone for a little while longer and try them as well? If you can't be bothered to read HP though - this is an excellent spoiler. If that is too long for you then this is an even more concise version. I'm not joking - they really are spoilers! Umm, oops... that'll be Arry Who? I thought it all worked in the end. I was concerned that I was going to think "no, no, no, you've glossed over that, you've forgotten to explain that". But it all fell into place and it was very satisfying. A few surprises too, although I was right about Snape. The Gruffalo is a great children's book. I can't comment on the Potter thingy - never read one.